All spring we have heard from our sources that Motley has been excelling at the corner position opposite of Senior Jordan Thomas. Motley had an interception early on and then made a play, reminiscent of Derrick Strait in the 2000 NC game and Zack Sanchez in the 2013 Sugar Bowl, where he jumped and laid out to stop a would-be touchdown thrown to speedster Marquise Brown. Motley is starting in place of Sophomore, and returning starter, Jordan Parker, who is out with an injury and should return this summer. Those two, along with several others, give OU some excellent depth at CB position – depth that fans haven’t seen there in quite some time. With the loss of Biletnikoff Award winner Dede Westbrook, Oklahoma once again has to try and fill the spot of their go-to receiver. Sooners have options, and plenty of them, but those options need seasoning. One player that seems to be still moving in the right direction is senior WR Jeffrey Mead. Mead ended the 2016 season playing better than he had his entire career at OU. With Sooners outside WR coach Dennis Simmons continuing to work with the talented receiver, Mead looks to be getting more and more comfortable with his role. And as he gets more comfortable, Mayfield and him continue to have a rapport with each other. The Sooners aren’t just going to have the tall and athletic Mead to go to in 2017. They also have newcomer, and speedster, Marquise Brown. The JUCO transfer has made lots of noise this spring with his speed and big play ability. Some of that was more bottled up in the vanilla spring game, but in closed scrimmages Brown has been a name that sources seem to continually talk up. With Mayfield needing a big-play guy that is very much like Dede Westbrook, Brown seems to be capable of being that guy for the Sooners. The receiver unit has newcomers that are already on campus, as well as several coming in this summer, that will be able to contribute in the 2017 season. With the play of early enrollee Grant Calcaterra, in the spring game, Sooners fans got to see a continuation of what they saw last summer during the Nike Opening Finals. There, Calcaterra dominated while helping lead SoonerSquad17 to the 7-on-7 championship. In the spring game, Calcaterra showed his athletic ability, hands and speed that made him so coveted by not only the Oklahoma staff, but also the nation. Calcaterra also looks to have put on some much needed muscle during his short time in Norman. With summer workouts just around the corner, one can bet that he will continue to fill out, which will help make him and star TE Mark Andrews a formidable duo at the TE position in 2017 and beyond. Still to come on campus and push for playing time are Charleston Rambo and CeeDee Lamb. Rambo and Lamb both bring size and speed to the outside that Oklahoma hasn’t had, in terms of combination, in some time. Both are exceptional players that can be difference makers while at OU. The staff is hoping that will be sooner, rather than later. Lastly, Oklahoma has made a living off of the grad transfer rule, as of late. With Jalen Saunders (got two years) and then Justin Brown and Geno Lewis coming in and making a huge difference, Oklahoma is hoping that hoping that Kentucky grad transfer Jeff Badet does the same. Badet is another speedy WR, but Badet has some size and strength that Dede Westbrook and Marquise Brown don’t have. Badet had 31 receptions for 670 yards and 4 touchdowns last year for Big Blue Nation. This will be the first time in Badet’s career that he has had a quarterback the caliber of Baker Mayfield. If Badet comes in and picks up Lincoln Riley’s system, the grad transfer can make OU passing game even more treacherous for opposing defenses than it already is. Sooners quarterbacks are talented and deep. Yes, I know that is not some groundbreaking statement, but even in a vanilla, scripted spring game, the OU quarterbacks showed they will be solid at that position for years to come, after Senior Baker Mayfield leaves for the NFL. Kyler Murray, in particular, had an exceptional spring game; he hit Jeffrey Mead on a deep ball for a TD and used his feet to make plays. The strong arm and his ability to plays with his feet is something everyone is accustomed to with Murray. The thing I liked the most was his willingness to stay in the pocket and make decisions. At Texas A&M, Murray would check his first option and then try and make a play with his feet. Today, we saw a much more mature QB that was patient in the pocket and made some great throws. The other QB that saw a lot of PT and is vying for the number two spot behind Baker Mayfield was Austin Kendall. Kendall is more like Baker than Kyler when it comes to mobility, but that is all you really need, as no one outside of Lamar Jackson is as mobile as Kyler Murray. Kendall possesses good arm strength and showed it off, even in some strong winds, on Saturday. Kendall has a good grasp of the OU offense and his ball placement is ridiculously good for such a young guy. 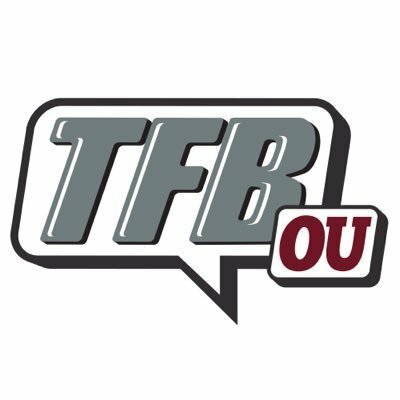 With four scholarship quarterbacks on campus it is a far cry from last year when Kendall was all OU had available to back up Baker Mayfield. 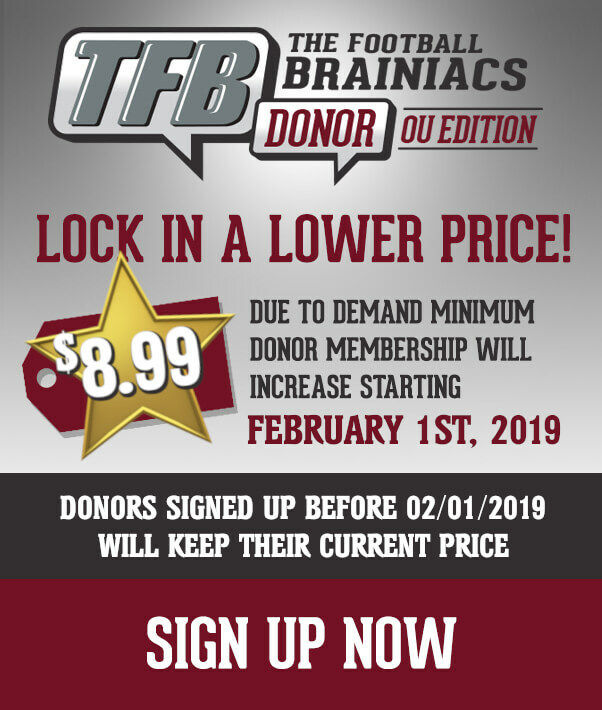 It’s going to be a weird off-season, with fans who usually are wondering who will be the starting the quarterback sitting around and having water cooler talks about who will the Sooners back up behind three year starter Baker Mayfield. The thing is, 99% of the college football world only wishes it had the luxury of having talents like Kyler Murray, Austin Kendall and Chris Robison as their backups at the quarterback position. It’s yet another reason why Sooners offensive coordinator Lincoln Riley is so valuable. This Sooners team is deep and talented. The last couple of years OU fans have seen a resurgence on the field and on the recruiting trail for the Sooners. With OU going for a three-peat as Big 12 Champs, landing a top 10 recruiting class and already hot in 2018 recruiting, optimistic isn’t just a word, it’s a state of mind with OU fans. With that optimism comes some lofty expectations. Even after losing soon to be top NFL draft picks Dede Westbrook, Samaje Perine and Joe Mixon, the Sooners look to have good, although inexperienced replacements. If OU can find some playmakers at the running back and wide receiver positions, it will be another standout year for the Oklahoma offense. I say that because of Baker Mayfield and the monster offensive line that Bill Bedenbaugh has built since he arrived in Norman. On the defensive side of the ball, you have the emergence of Parnell Motley, the return of Jordan Parker, Jordan Thomas and Steven Parker in the secondary. You add them to a young, but deep, linebacker position headed by rising star Caleb Kelly, and all you need is Neville Gallimore and company on the defense to continue to grow into what most feel they can be. This team can be special: we all know that – Bob Stoops knows that. A good off-season and some luck with another possible grad transfer in Scott Pagano on the defensive line and more than just a three peat in the Big 12 could be in the cards for 2017 season. All in all, the Sooners coaching staff has this program moving in an upward trajectory. Stadium and facilities upgrades, back-to-back Big 12 champs, recruiting on fire and a team that looked good in their fun, albeit very vanilla, spring game. Oklahoma is the hot program again. They just need to continue that trend into and during the 2017 season.